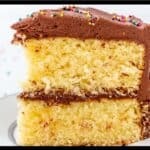 Is it just me, or does yellow cake remind you of childhood? I can’t be the only one who’s mom made yellow cake with fudge frosting growing up. When I came home from school and I saw that on the counter, it was literally the best day ever. 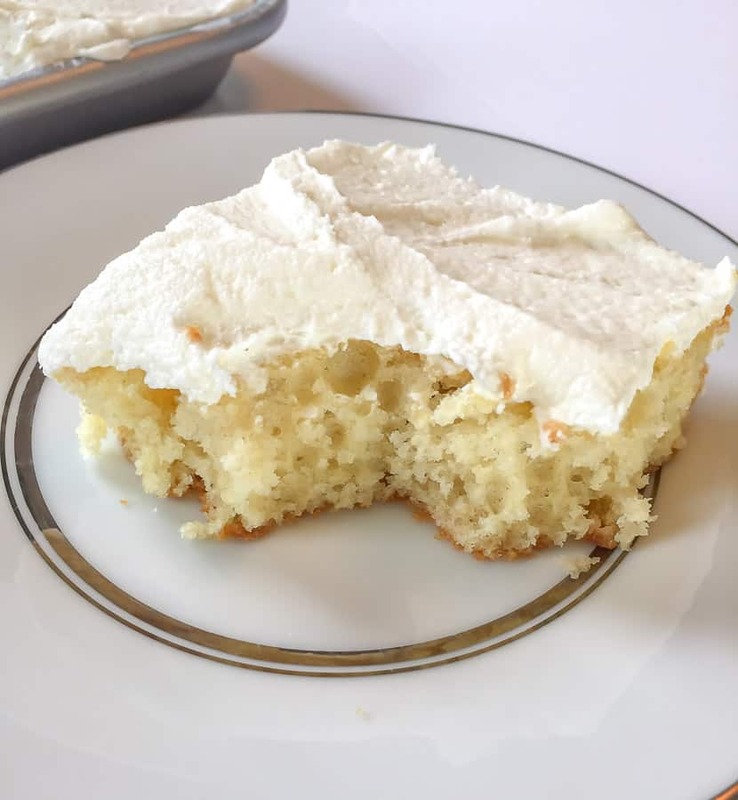 I wanted to come up with my own version, so I decided to make yellow buttermilk sheet cake 2 ways. Why ‘2 ways’? Well, for one, it gives you options…I like options. 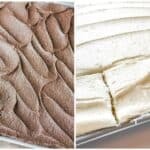 Two, there are those who don’t really like fudge frosting. I don’t know any of those people, but I’m sure they’re out there. 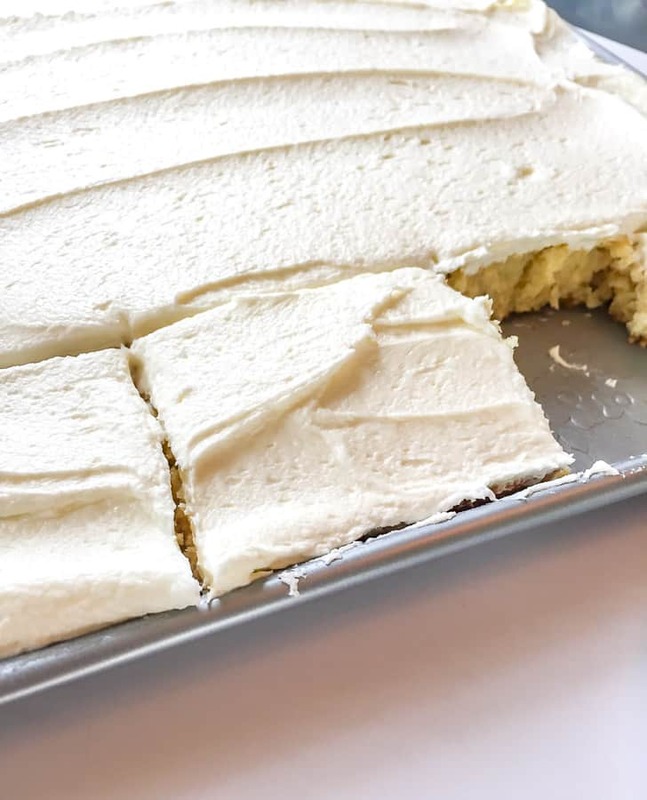 Even if you DO like fudge frosting, sometimes it’s good to shake things up a bit and that’s why I added the white chocolate buttercream frosting version. I’ll explain. Growing up, our church had something called 5th Sunday. When a month had 5 weeks in it, on the 5th Sunday, we’d have a potluck after church. My favorite part of that was if someone just went to Church’s Chicken across the parking lot and brought it. My least favorite part was when the elderly ladies brought weird salads with random stuff in them like shredded carrots with mayonnaise, raisins and celery. Ok, I went off on a tangent there, but you get the point. 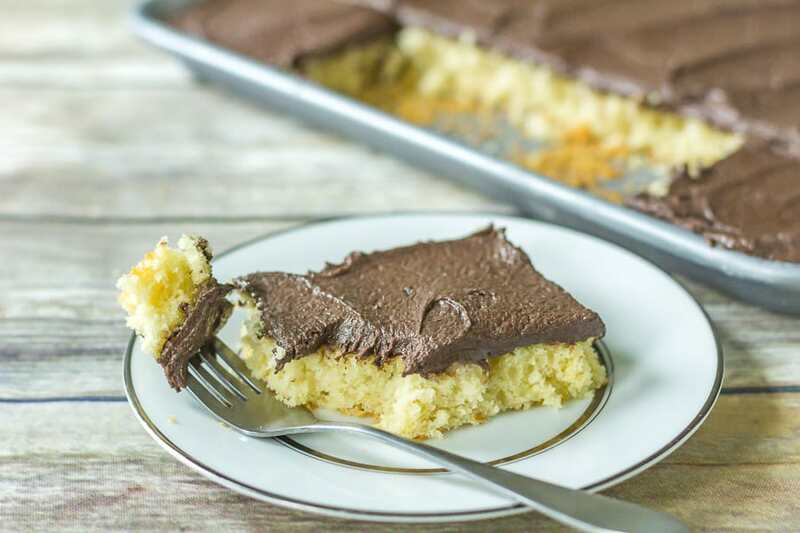 This sheet cake is great for potlucks, or 5th Sundays, or large families for that matter. 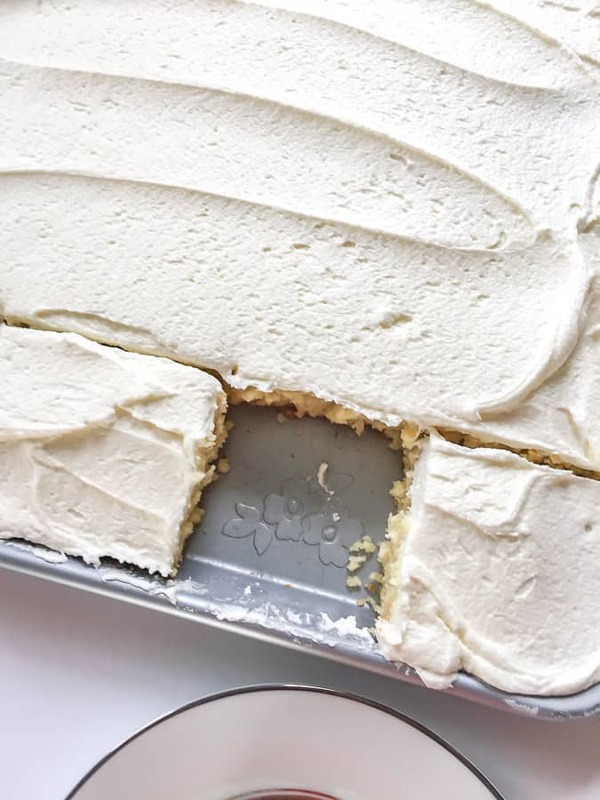 I didn’t even own an actual sheet cake pan (or 1/2 sheet cake pan) and because I’m one for convenience, I headed to my local Wal-Mart to grab one. They had two choices. One that seemed a little thin and flimsy and then one from the Pioneer Woman. 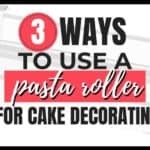 It has a pretty floral design on it, so if you’re planning to make a jelly roll cake and don’t want a floral pattern on it, this might not be your best choice. For my purposes though, I thought I’d try it out. I was pleasantly surprised. It’s a good sturdy pan and seemed to bake evenly across the whole cake. 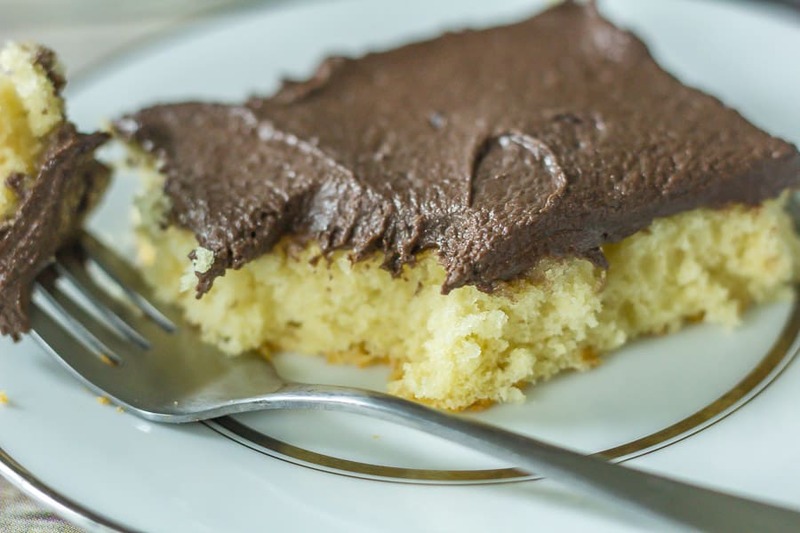 You can also bake this cake in a 13 x 9 inch pan. The cake will be thicker, so it won’t feed as many people, but it’ll still be good. 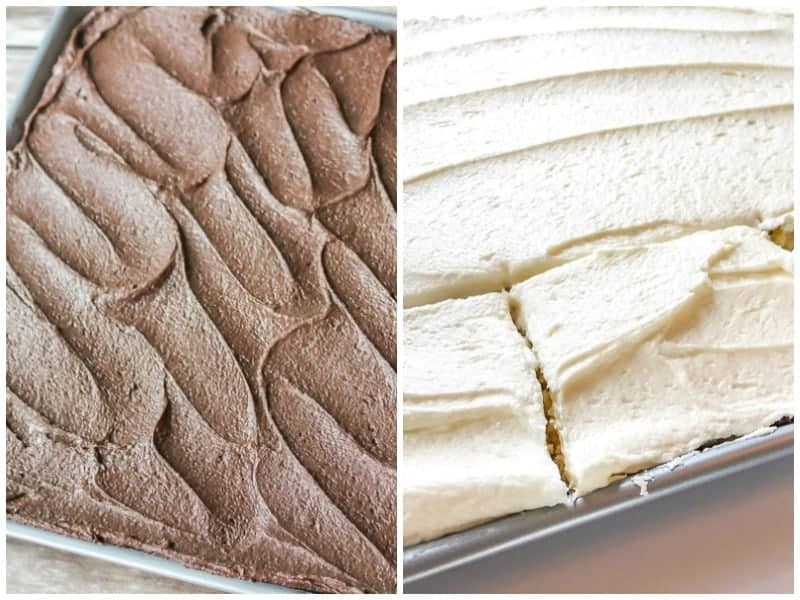 The most important thing with baking sheet cakes like this is not to over bake them. The cake is thin and it’ll easily over bake and become dry if you’re not careful. So start checking it in the oven when noted in the recipe below. 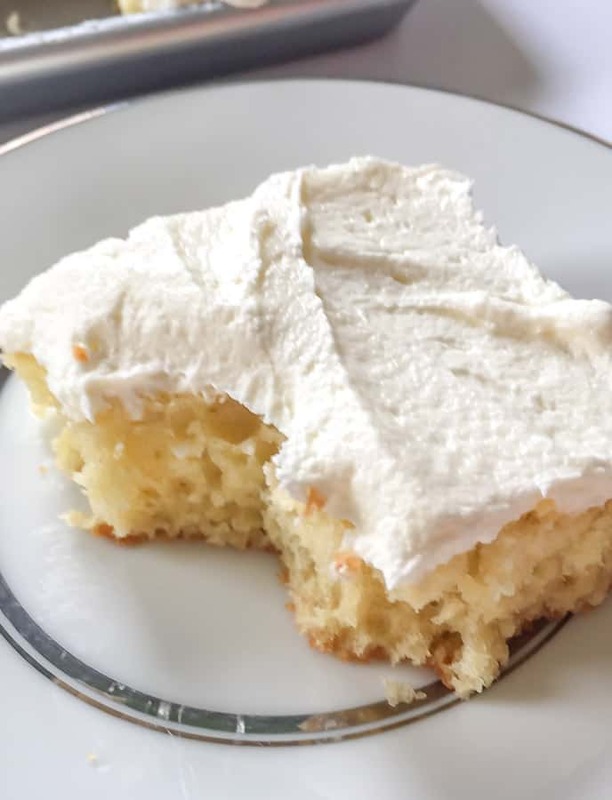 Yellow buttermilk sheet cake made two ways. 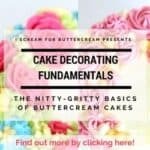 A moist buttermilk cake topped with brown sugar fudge frosting or yummy white chocolate buttercream. 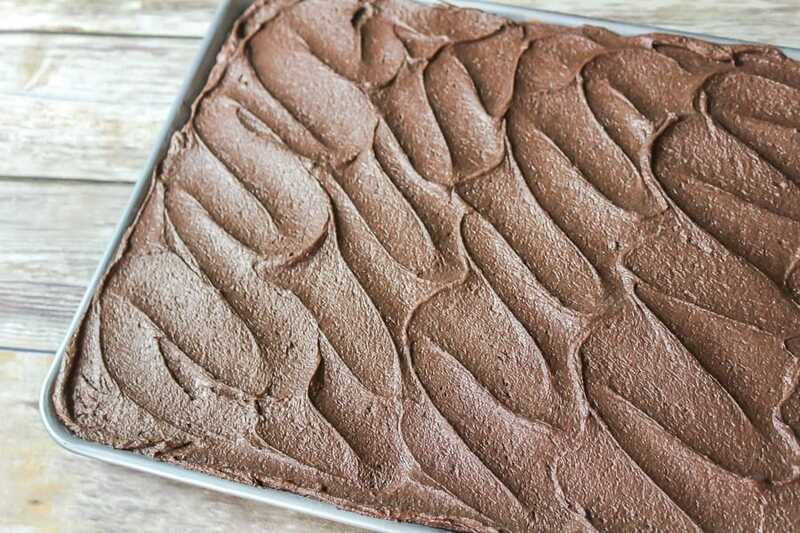 Grease and flour a 12 x 17 sheet cake pan or jelly roll pan. In a bowl, mix together the flour, baking soda and salt. Set aside. In another bowl, mix together the buttermilk, milk and vanilla. Set aside. In a mixing bowl, beat together the butter and sugar until fluffy. Add in the eggs and beat just until combined. Alternately add in the dry mixture and the liquid mixture. Start and end with the dry mixture. (dry, liquid, dry, liquid, dry) Mix just until combined after each addition. Spread into pan and bake at 350 degrees for approximately 15-20 minutes. Start checking at 12 or so. 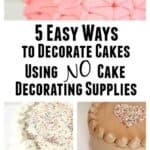 Be careful not to over bake or the cake will end up dry. Sheet cakes bake very quickly. Set on a rack to cool completely before adding frosting. Add cocoa, brown sugar and simmer for several minutes. You want the brown sugar to dissolve. Remove from heat, add vanilla and let cool to almost room temperature. Pour into mixing bowl, add salt, confectioners sugar and a couple tablespoons of milk. Beat until smooth. Add more milk (possible up to a 1/4 cup) if needed to reach desired consistency. Melt one cup of white chocolate and let cool to almost room temperature. Add to one recipe vanilla buttercream. This recipe can be found on the blog. If baking in a 13 x 9 inch pan, you may need to bake it a bit longer. Start by adding on another five minutes and then start checking on it. 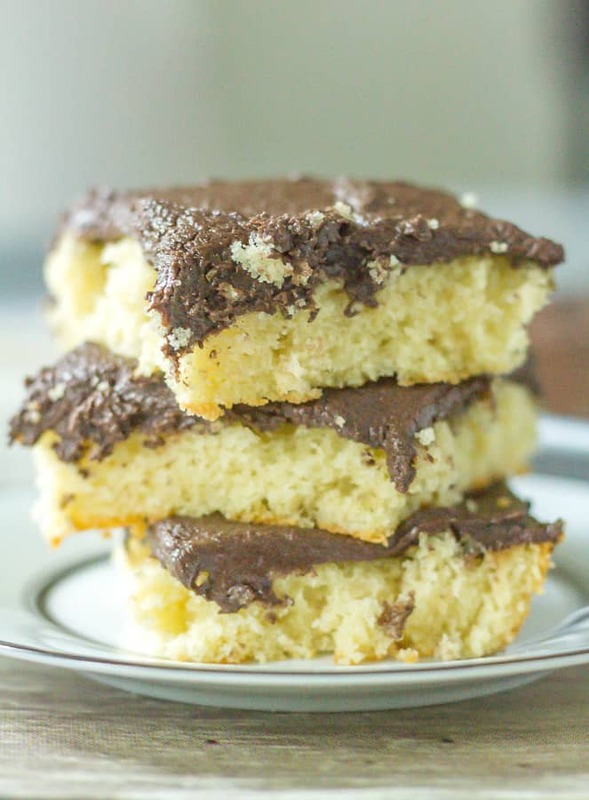 Have you ever used this recipe for a layered cake? If not, do you have a recipe you recommend for a layered yellow cake?